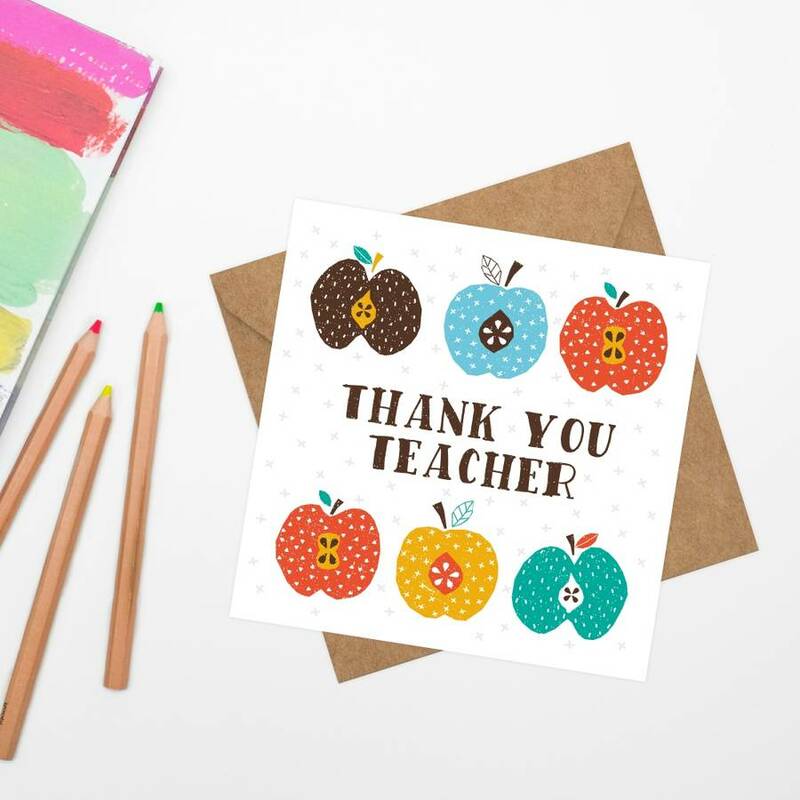 Thank you Teacher card is perfect for thanking an amazing teacher for a great year. 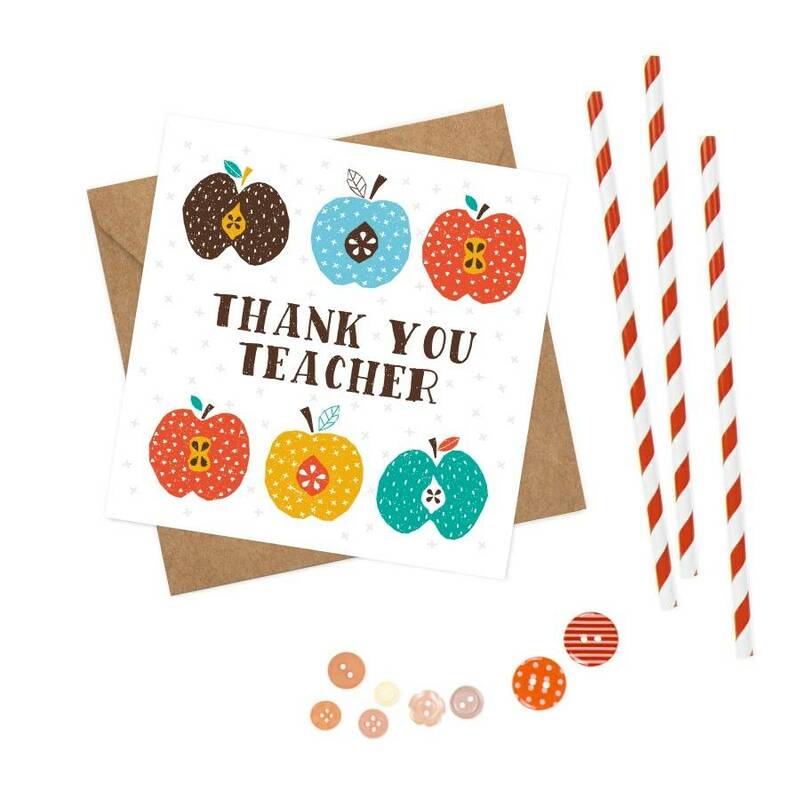 The design is a hand drawn fun apple pattern suitable for both 'Mr and 'Miss' teachers. Designed by Ink and Ocean.